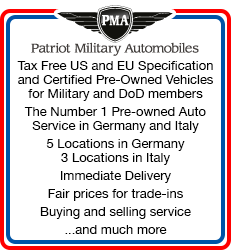 An assignment to Europe (whether TDY or PCS) offers exciting travel opportunities for service members and families - especially when it come to weekend trips. 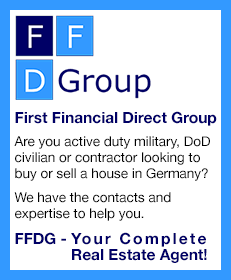 The close proximity of many popular destinations will let you see and experience more during your tour of duty than most Americans would ever see in a lifetime of occasional “guided tours”. Highly developed rail lines and the proliferation of many discount airlines operating from regional airports as well as large hub airports will help get you to your favorite city in just a matter of hours from just about anywhere in Europe. For those with an adventurous spirit and who may not want to join in a pre-packaged guided tour, making your own travel arrangements is the way to go. Whether you travel alone, with some friends or with the family, it’s very easy to book both inexpensive travel and cheap accommodations online. The first destinations for a weekend trip could very well be the great cities of London, Paris and Rome. Flying from just about any airport in Germany, Belgium or Holland puts you in Rome and London in just a couple of hours. Taking the high-speed express trains can get you to Paris in just a few hours. If you are starting from the UK the flying times are just a bit longer. Leaving on a late Friday afternoon and returning late Sunday or on Monday (if you have a three-day weekend) gives you plenty of time to see the sights and enjoy the dining and night life of these great cities. Here are some tips on what to do and see. After touching down at Rome Fiumicino jump on the train to the city centre - you’ll be there in 30 minutes. From Rome Ciampino it’s just 15 and both routes are less than €15. There are plenty of hotels available through Hostelbookers, so drop off your bags before heading out. Traveling on a budget is easy in Rome - you’re surrounded by history and it’s mostly free to see. Enjoy a relaxing dinner at one of the many restaurants lining the square at Piazza della Rotunda and be charmed by the street opera singers. 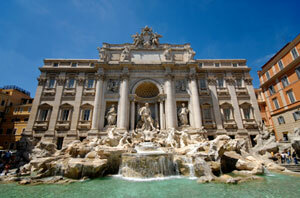 Walk it off with a stroll to the Trevi Fountain - legend has it that you can ensure your return by throwing in a coin. On your first full day wander between the Colosseum, Pantheon and Circus Maximus to take in old Rome. Break for lunch with a takeaway pizza slice from Bir and Fud on the steps of the Scalinata di Spagna - it’s an incredible view. In the evening go for a sit-down meal at Piazza Navona. If you’re overwhelmed by the choice head to nearby Etabli in Piazza der Fico, a cosy restaurant and wine bar open until 2am. You’ll find all the clubs in the Testaccio and Ostiense districts, or to stay in the centre go to Distillerie Clandestine. They play house, dance, electronic and R n B served with cocktails, outdoor terraces, VIP areas and the largest bar in the capital. On the last Sunday of the month the Vatican Museum is free - otherwise it’s €15 - and it’s open at night during the summer. If you’d prefer to shop head to the Arsenale for Bohemian chic, Le Gallinelle for vintage and Le Tartarughe for classic designs. For outdoor antique markets go to via del Babuino, via Gilulia and via de Coronari. Or try the flea markets at Via Sannio and Porta Portese on Sundays. Top off your trip with a pizza done the Romani way - a thin crust, freshly tossed and cooked in a wood-fired oven - at the legendary Remo on the main piazza in Testaccio. Step off the plane at any London airport and you’re just an hour’s train ride away from the city centre. Whether you want romantic, cheap, quiet or party hostels London has hundreds to choose from. For your evening meal head to the bright lights of Soho, here you’ll find budget restaurant chains such as Pizza Express and Wahaca. Or for a few more ££ you could go to the futuristic Inamo. You order your food by touchscreen and can change your table’s lighting and decoration electronically, and use the table top for a game of battleships. Top this off with a nightcap at Garlic and Shots just around the corner. If you’re not ready for bed, take a walk around Soho, there’s a high concentration of bars and restaurants. Throw some shapes on the dance floor at Circus nightclub in Covent Garden where you’ll be entertained by aerial artists and fire-eating ballerinas. Emerge from your hangover to spend the day at the famous Camden Market. There are food stands aplenty to pick up a cheap lunch, and endless clothes, jewelry, bags and nik-nak stalls. Stay in Camden for your evening meal at Gilgamesh - a mid-priced, pan-Asian restaurant that’s a celebrity favourite. After enjoying their cocktail menu head to Proud nightclub two minutes up the road. It’s one of the best in London and uniquely located in an old horse stables, with the stalls still intact. Make the most of your last day with a stroll along the Southbank. You’ll walk past Westminster, Tower Bridge, the London Eye, the OXO tower and the BFI before ending at the Tower of London. From here walk the 1½ miles to Brick Lane to visit the curry houses. If that’s too heavy for lunch get it on the go from Spitalfields food and clothing market and enjoy a beer at Vibe Bar to take in the cool East London vibe. Paris is no more than 40 minutes away from the airport, and of course the city centre has excellent train links to the rest of Europe. There are hostels in Paris near the train station, so freshen up and get ready to explore the city. Spend the evening in the Montmartre district; it’s filled with cool boutique shops, bars and restaurants. For a memorable dinner try Les Refuge des Fondues - a small fondue restaurant where the wine is unlimited and served in baby bottles, and the service is brilliant. Get up early for a morning mooch down the Champs-Élysées and take in the shops, churches, sites and parks along the way. 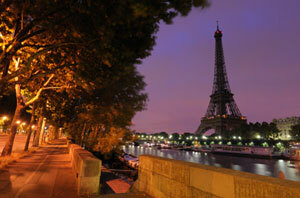 Take a break at Av de Villiers Park and enjoy a French baguette and some cheese while watching Paris go by. In the evening head to the popular Oberkampf district - here you’ll find Au Chat Noir where you can indulge in a cocktail or five. For dancing you’ll want the bustling and boisterous Café Rosso, a favorite of Paris’ cool, indie crowd. Cure your hangover with the River Seine’s clear air. Walk along the riverbank and you’ll see the beautiful Notre Dame, the Jardin des Tuileries and the Grand Palais. In the summer you can also enjoy the man-made riverbank beach. Take a rest on one of the benches worked into the bridgework across the Seine and watch the Eiffel Tower as the clock strikes the hour - I won’t ruin the surprise. Enjoy your parting meal in the lively Latin Quarter; it’s filled with good-value bars and restaurants all vying for your euro. Just don’t miss your flight home.